A dear, grade school friend of mine sent me an article from the Wall Street Journal on sleep and ADHD some months ago, and I immediately read it with interest. "Could How You Sleep Be Linked to ADHD? An explanation for lost sleep: Late circadian rhythms in those with attention-deficit hyperactivity disorder may make them natural night owls" by Sumathi Reddy proposes an interesting correlation between sleep and ADHD. So many of my clients, and a few members of our household, struggle with circadian rhythms. 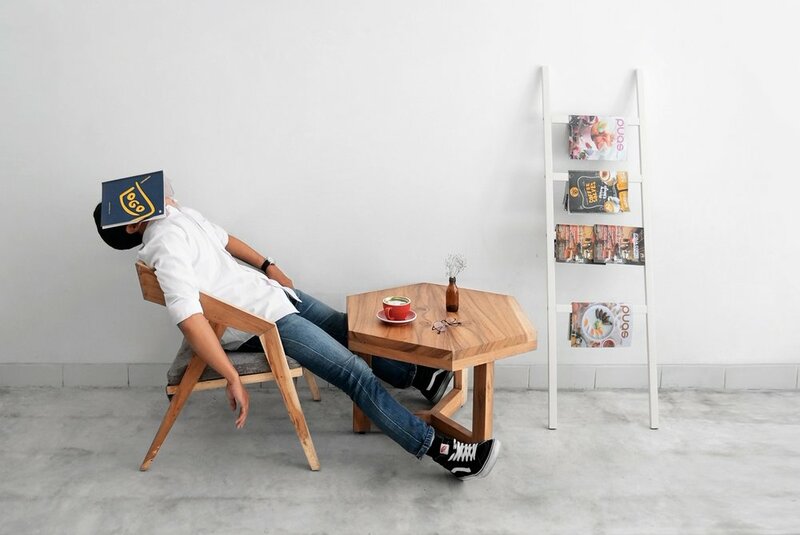 The notion that there may be a way to help everyone better understand and invest in meaningful sleep hygiene is the million dollar quest for those who struggle to find restful rhythms on a regular basis. The article raises the question of a link between sleep and ADHD and whether or not finding relief for the sleep may relieve or at least assuage some of the ADHD symptoms that are prevalent. However, reading the article left me with more questions that answers. For example, is the link between ADHD and poor sleep corollary or causal? In other words, is this just a coincidence or is there truly a link, and, if so, what does that mean? I informally surveyed the sleep habits and challenges of my clients and friends who are firmly planted in the world of ADHD. Like ADHD itself, the comments were as diverse as their ADHD symptoms. Struggles ranged from occasional to nightly occurrences, including racing thoughts, interrupted rhythms, difficulty falling asleep or waking, and varying degrees of restful vs. disjointed sleep. When I examine the sleep habits in my own house, I have one very large outlier. My combined-type minion is the King of Sleep in our household, and he has been ever since coming ever so loudly into the world. Nothing stands in his way of getting a full night's worth of zzzz's! While my inattentive type kiddo struggles with sleep and has to work with incredible focus on attaining a level of sleep that is even remotely considered restful; so easily stimulated and impacted by the environment, sleep must be a discipline, and anything that might steer him off course, well, does. And then you can throw in the 3rd anomaly in our home - he who is early to bed and hopefully not waking in the middle of the night. While I'm not measuring anything scientific like cortisol or dopamine levels, there is no obvious relationship between medication or the over-arching diagnosis of ADHD that suggests a definitive pattern. For those of us in the trenches…that unique presentation is the irony of ADHD. Just as Dr. Robert A. Lavine summarized in his review of a Washington Post piece on the same topic(link to review), I too, am skeptical that the studies in the Wall Street Journal article have created any sort of conclusive link specific to ADHD. Circadian rhythms. Is ADHD truly an underlying symptom for those with ADHD who struggle with sleep? Quite possibly. Without a larger peer-reviewed blind study on sleep and ADHD it is hard to really know. It is only with certain diagnoses? Is it triggered by environmental or mental health factors like exercise, diet, comorbidities or something else? Is the sleep hygiene for certain presentations of ADHD a factor in or catalyst for poor sleep? The small study cited in the article indicates is a possible correlation between ADHD and the body's delay in both producing and processing melatonin. While there isn't much research specific to the pineal gland of the brain, where melatonin is regulated, there is a tendency for those with ADHD to also have lower than average zinc levels, which are typically found in this gland. According to previous research, zinc and melatonin may be more intertwined that most realize. What I do know is that sleep hygiene is a huge topic of conversation in every facet of the modern world. Perhaps, as with comorbidities such as anxiety or depression, there is an increased likelihood of sleep issues for those with ADHD. Which means it is impactful for those individuals to pay attention to the creation of a sleep routine/habit. Perhaps sleep hygiene is another habit that is mission critical for brain function and health; a habit is often the struggle to build repetitive systems for the ADHD brain. The creation of habits or systems for remembering to brush your teeth, take breaks for exercise, eat well or remember where you put your keys takes work. That work is easier when it is interesting, urgent, novel, or fun. What's that got to do with sleep? Find that ticket to motivating the routine and you will likely see a shift in sleep for many, regardless of an ADHD diagnosis. While the article may not be a solid home run in the ADHD world, it does bring up an important piece of self-care for everyone - sleep is impactful and important for optimal brain function and overall health. Keeping the machine running like a well oiled machine sets us up for success. I'd love to hear how you keep your sleep in check.